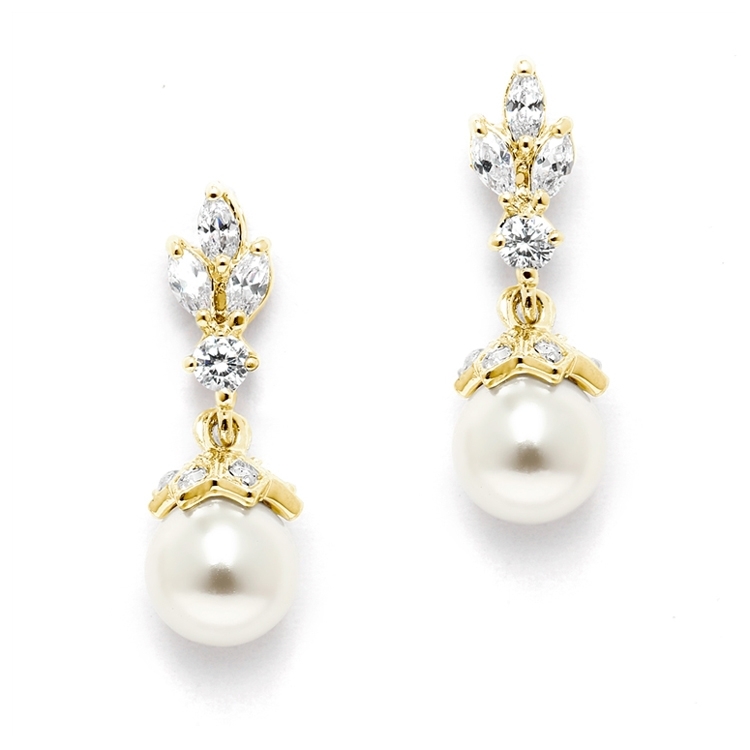 An all-time best seller, these classic 14K Gold bridal earrings feature a trio of pronged marquis cut CZ gems with elegant light ivory cream colored pearl drops. 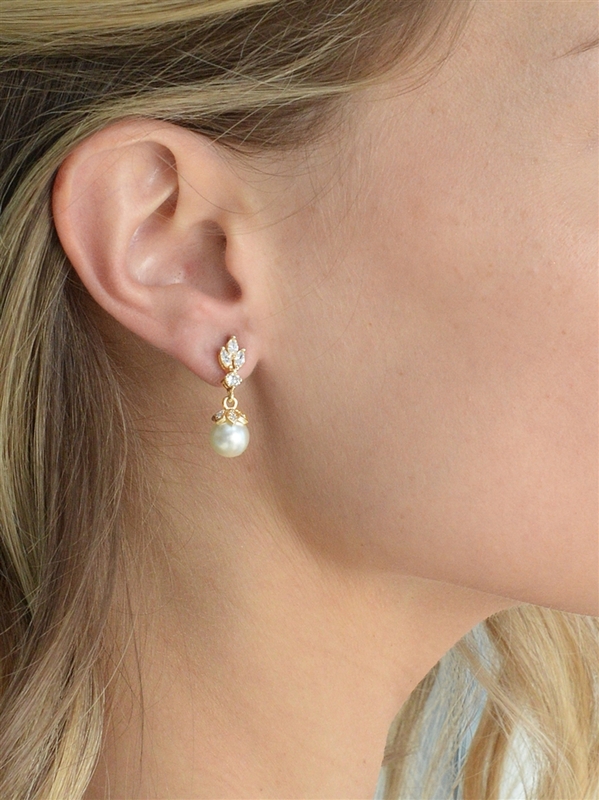 Delicate and beautiful, at 7/8" h these imitation pearl bridal earrings exude understated glamour (think "Breakfast At Tiffany's" and royal weddings). 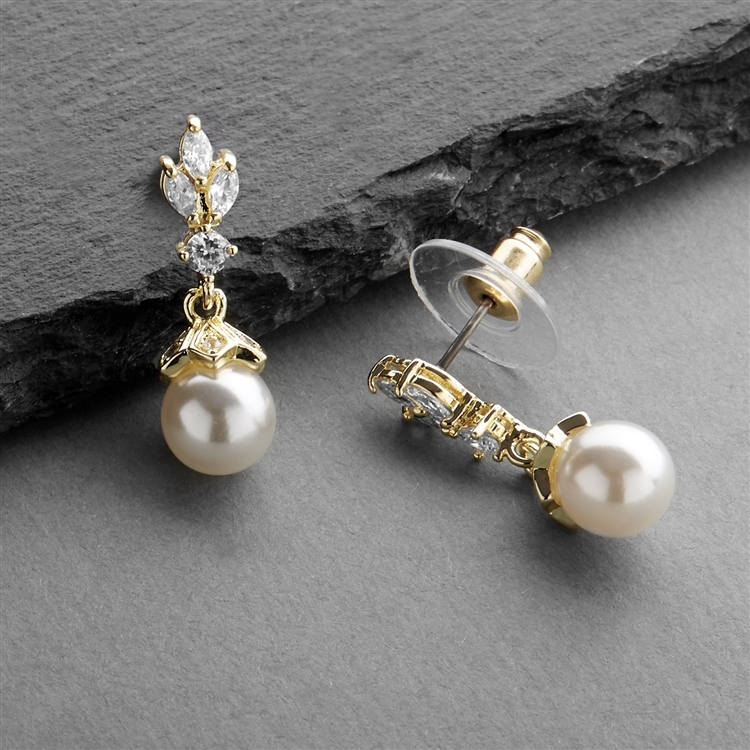 Meticulously crafted using only the finest quality AAAAA Cubic Zirconia and Genuine 14KT Gold plating, no one but you will know these gems aren't priceless pearl earrings. These stunning drops will instantly become your next go-to accessory for dressing up weddings and special occasions. After your formal frocks are neatly tucked back into the closet, add a touch of class to your business wardrobe and jazz up your favorite sweater and jeans. 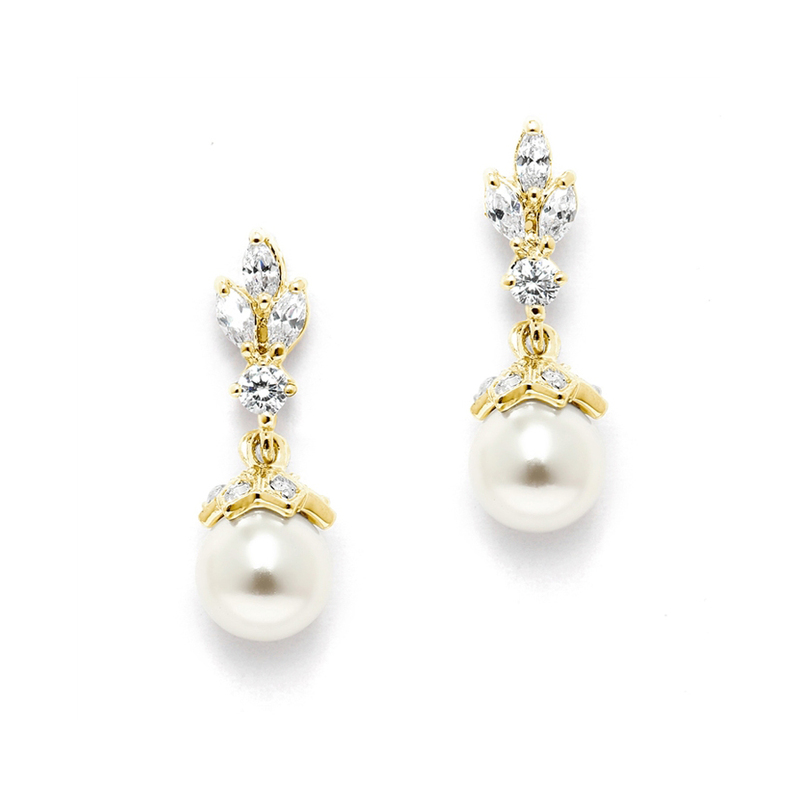 We promise you'll love these top selling pearl drop beauties or your money-back. Treat yourself or someone you love to the gift of lustrous pearls and sparkling gems with the look of fine Yellow Gold jewelry. At an irresistibly low price and timeless silhouette, these earrings are a must-have for every woman's jewelry collection. Lifetime Guarantee.